August | 2012 | ReadWriteLib Reads! Wow. 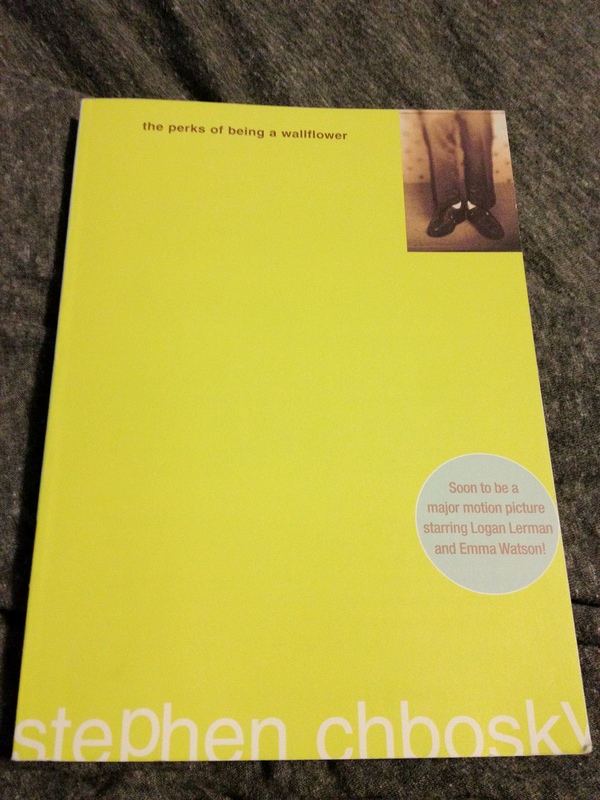 Everyone needs to read The perks of being a wallflower by Stephen Chbosky. It’s such an interesting novella (only 213 pages!) about a Freshman guy in high school, yet the story itself and the wisdom in it is very adult. Though it was published in 1999, I missed it growing up, probably because I had my nose in Sci-Fi and Fantasy and avoided most realistic fiction if it wasn’t required school reading. Too bad, though, because I would have loved it then. I love it now. What makes this book even more special is the fact that my copy was signed by and given to me by the author. During ALA 2012 in Anaheim, an advanced screening of the new, soon to be released in theaters, movie was shown to a small group of librarians. Steve, a couple of grad school librarian friends, and I were among the lucky ones who went. The author played a big role in creating and filming the movie, and now that I’ve read the book, and he did an amazing job converting such a deep and complex story into a film. For me, the movie is the amuse bouche to the novel, which is the five-course meal; it shows the author’s capabilities, gives you a taste of the story, and leaves you wanting more. The book plunges deeper into the story and the characters, so if you like the movie then you’ll love the book. And if you love the movie then you’ll adore the book. But also if the movie is just okay for you, then perhaps the book wouldn’t be a good one for you. However, I’m torn whether or not to suggest seeing the movie first. While it does the novel justice, the book still captures the entirety of the story and the characters. Having seen the movie first, I knew what to expect which probably slowed me down with reading it by knowing what was coming but also because I saw it just a couple of months ago so it’s still fresh enough in my mind. Yet, now I want to see the movie again to compare it more so to the book now. The differences between the two are minimal but it’s so good and the story is great that I want to see it again. This book will definitely make the re-read list, although I find it particularly speaks to me so it’s a bit difficult to get through at certain points, and I will buy the movie when it comes out. Two new favorites! Remember Emma Watson’s (Hermione Granger) pixie haircut? It was for this movie! She, along with Logan Lerman and Ezra Miller star in The perks of being a wallflower film that debuts September 21, 2012. Go see it! And read the book! Recommendation: Yes, to everyone. Regardless of if you were a loner without many friends, or not, this book will speak to you because it’s an honest account and gets at the heart of what it means to be human and live to the fullest.